Debut album from a group of Swedish lads who have apparently been worshiping at the altar of Meshuggah. The weird djenty odd-time signature laden sound perfected by Meshuggah is the most obvious jumping off point for these guys. You’ve got the underlying foundation that is just so solid. It is concussive in its pounding. Over top of this slab of heavy, you’ve got almost wistful and light touches of guitar textures. It’s a weird and forward-thinking contrast to the songs’ overall bombast. 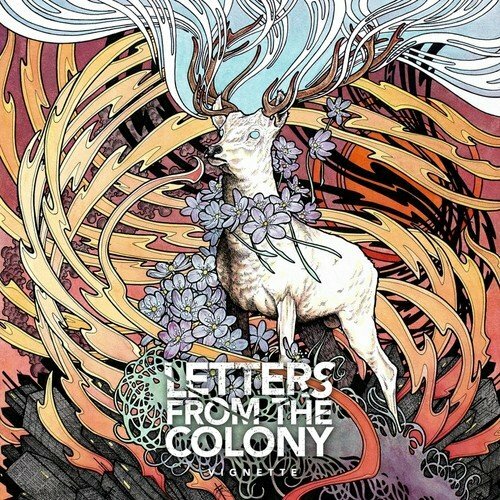 Letters From the Colony also manage to break out a few unexpected quiet and melodic passages throughout many of the songs. In this vein, they join the growing legion of metal bands to employ a saxophone to deft use on the final title track of the album. This may not be the most original album to come down the pike this year, but it is a solid release. There’s enough meat to these songs to make me want to revisit them in the future. Cheers to a promising beginning!